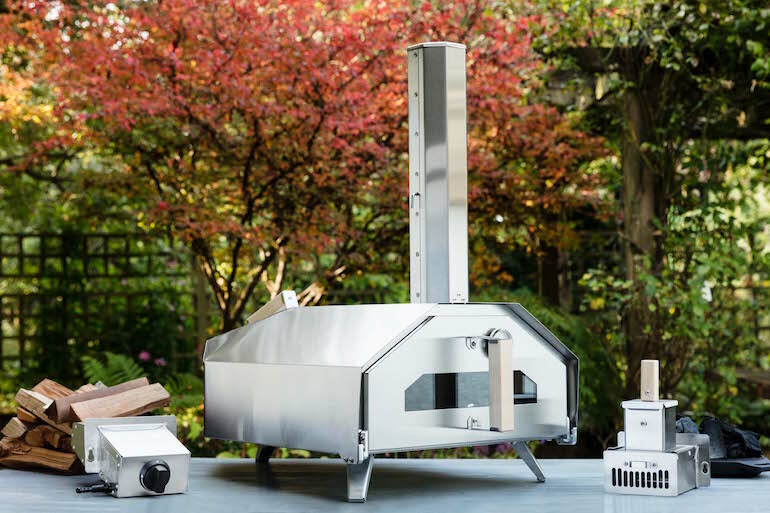 Uuni have launched their brand new, portable, pizza outdoor oven: the Uuni Pro. Capable of reaching temperatures of 500C and cooking a pizza in 60 seconds - that’s some seriously fast food! Read more Food and Drink features and check out our Store. Kristian Tapaninaho, the brains behind Uuni, has always been a keen baker. However, he found that the pizza’s cooked in a conventional oven just weren’t the same as those cooked in a proper pizza oven. Then when looking for wood-fired ovens for his garden, Kristian saw that those on offer were very large, expensive and not very practical. So he decided to make his own which has now been refined and re-designed into the latest model; the Uuni Pro. 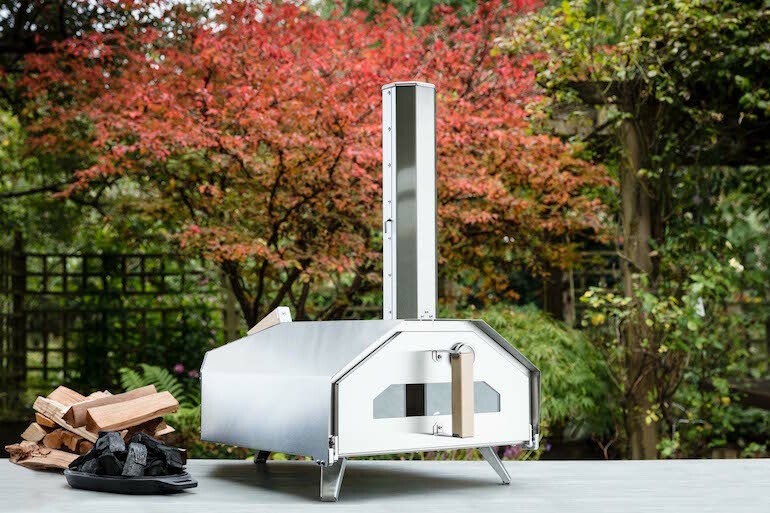 After many prototypes and testing his ovens in his backyard, Kristian started a Kickstarter campaign to raise enough money to fund the innovative design. The company reached its funding goal within two weeks and successfully achieved more than 220% of that goal by the end of the campaign. 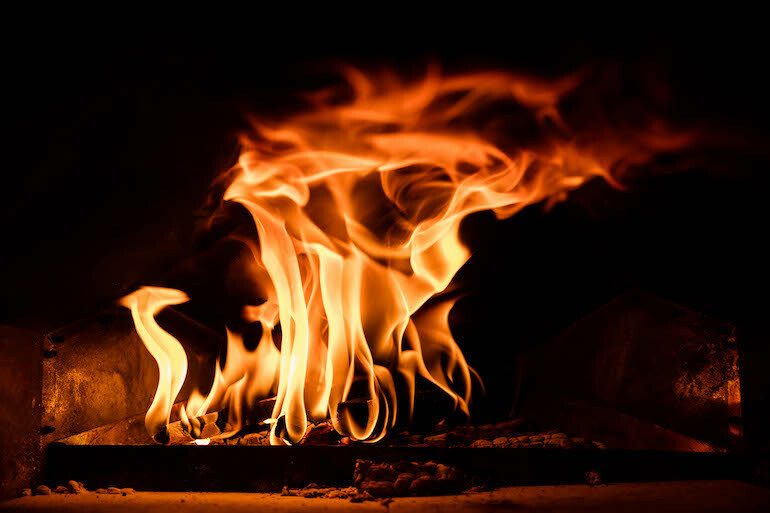 There’s high demand for quality pizza ovens! Compared to the previous Uuni model, the Uuni Pro has doubled the cooking surface area meaning you can cook a full-sized 16” pizza. The other big improvement is the ability for the Uuni Pro to now be able to be powered by four different fuel types. This includes pellets, wood, charcoal and gas giving you a great selection of fuel options depending on your preference. There’s also the Uuni Pro expansion pack which includes a pellet burning unit, a useful thermometer and a fully closing door with a viewing window so you can keep a close eye on your precious food! 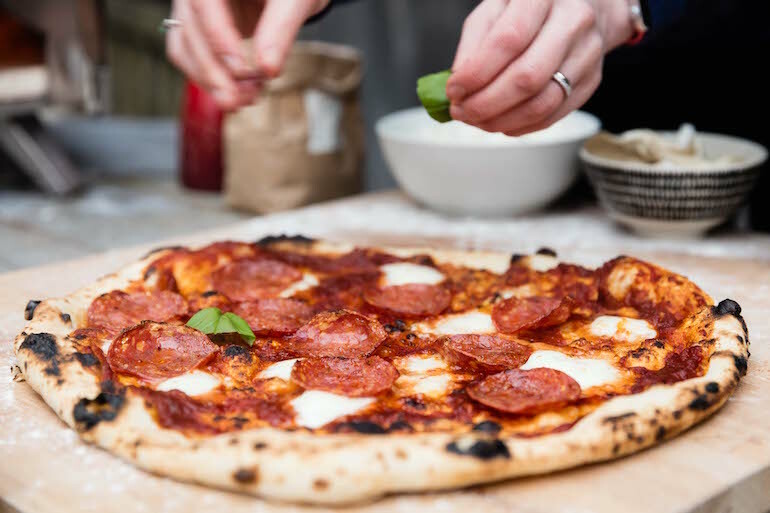 This oven gets seriously hot; it’s able to reach temperatures 500C in just 20 minutes and cook a full 16” pizza in 60 seconds! The Uuni Pro can cook a lot more than just pizza’s though; in fact it can cook just about anything. From roast meats, fish, vegetables to baking bread, the options are almost endless. This versatility puts the Uuni Pro a cut above the rest, with other outdoor ovens having a much more narrow scope they’re able to cook. This being said, the Uuni Pro was designed with pizza’s in mind, particularly with the stone slabs that come with the oven. 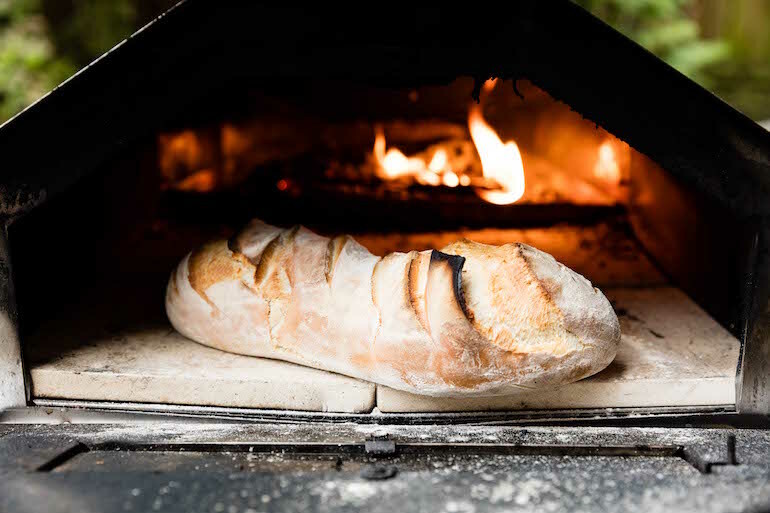 This makes it perfect for achieving that authentic, stone baked pizza you’ve always dreamed of. One of the best features of the Uuni Pro is the fact that it’s portable. By portable, it’s not something that will fit in your pocket! It weighs approximately 25kg which isn’t super-light but it’s light enough for you to be able to move it from your garage, shed or car and into the garden. Compare this to the usual pizza ovens which are humongous, heavy and generally pretty ugly, the Uuni Pro is streets ahead with its sleek design and practicality. Uuni also pride themselves on being a sustainable company and this is highlighted by them teaming up with the National Forest Foundation. Uuni plant a tree for every Uuni oven and every 10kg bag of wood pellets they sell and have so far planted tens of thousands in partnerships with NFF. So you can enjoy your pizza’s with peace of mind! If you love outdoor cooking then the Uuni Pro is definitely the oven for you. It’s practical, affordable, looks great and most importantly, cooks food amazingly well! Perfect for grabbing your mates round for a few beers and some fantastic, authentically cooked pizza’s.